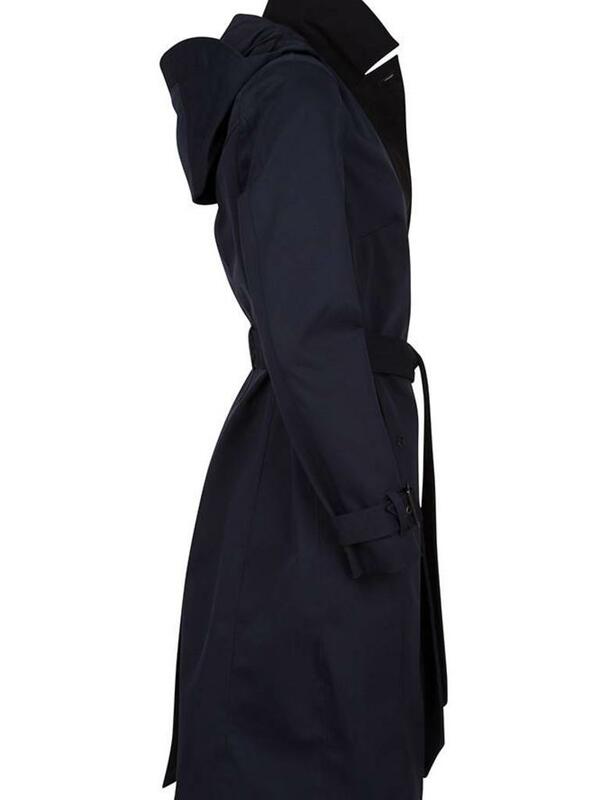 This fully waterproof jacket has a collar with a black accent color. 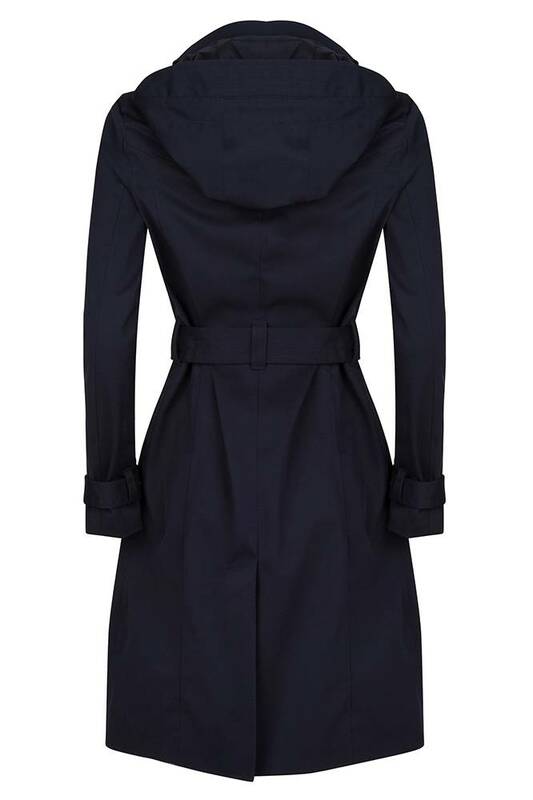 The fashionable raincoat has a buckle detail on the sleeves. 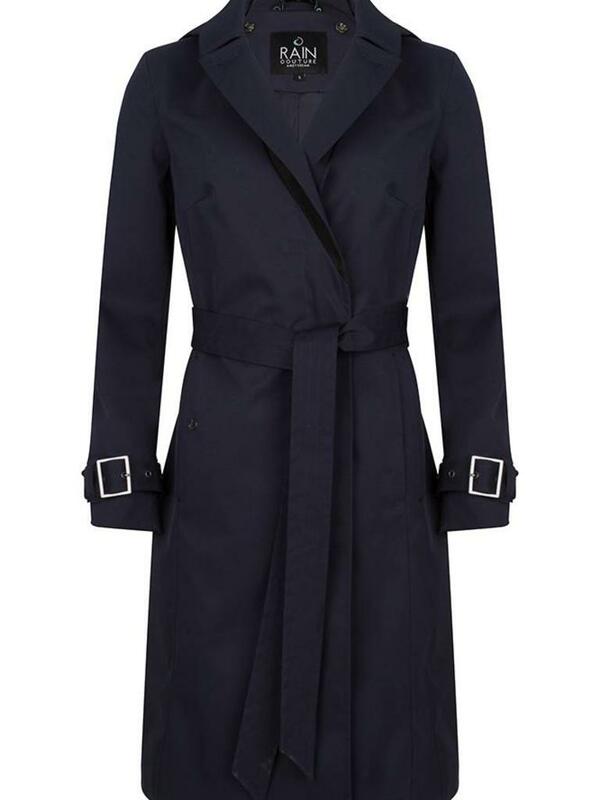 The Wrap coat is made from a highly breathable, high-quality structured fabric and the somewhat thicker material makes the coat very warm and perfect for the colder Autumn days. 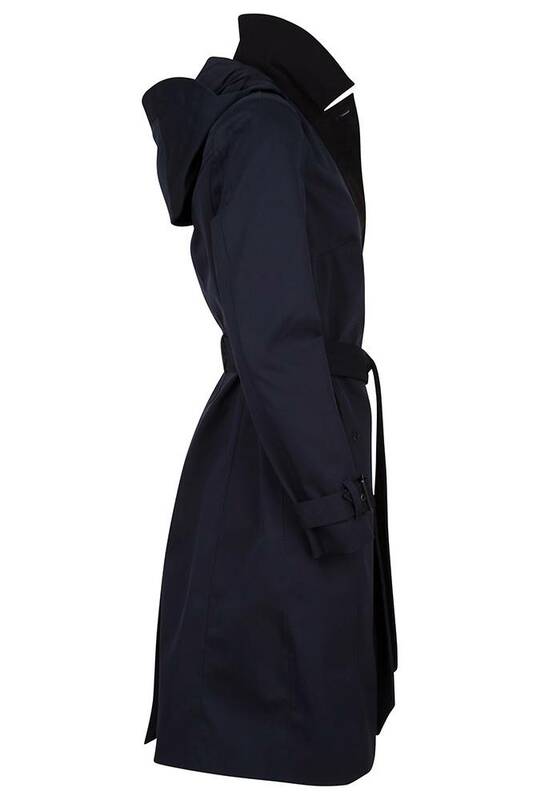 The stylish raincoat is breathable, due to the special air ventilation openings that are located under the armpits and the breathable coating that is also used for outdoor coats and sportswear. 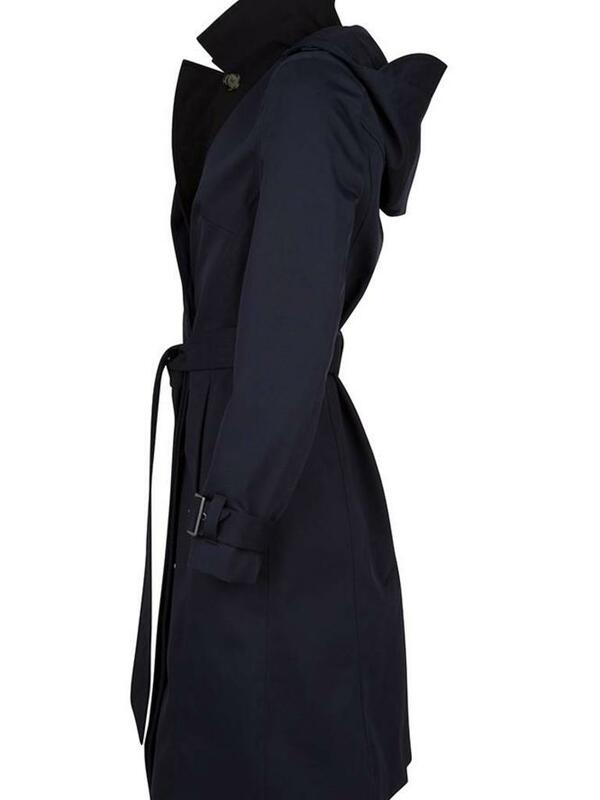 Behind the blind row with luxury buttons is a two-way zipper for more protection against rain and cold. 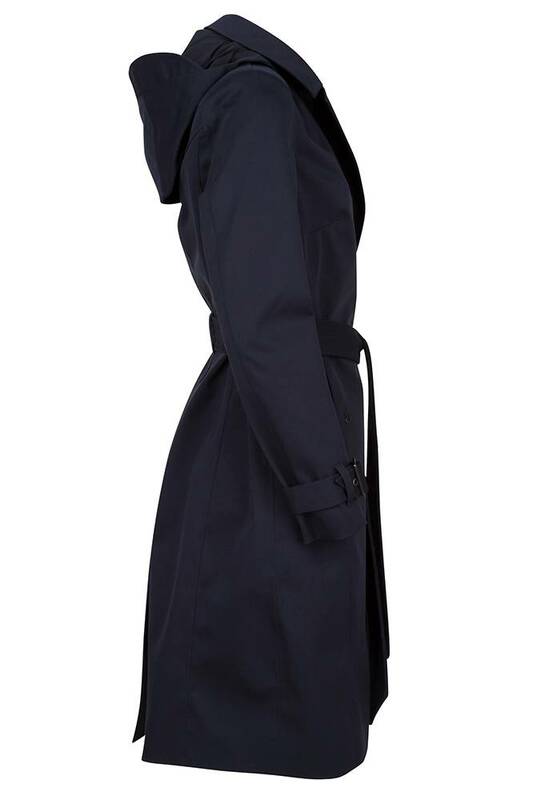 The women’s raincoat has taped seams to ensure that you are 100% protected in a sudden rain shower! 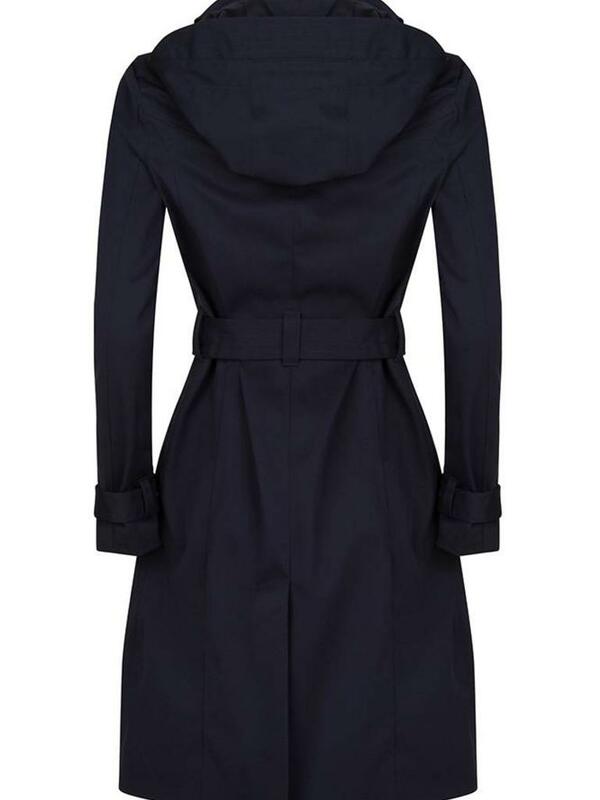 The back has a long pleat, so you have enough space for walking or cycling. 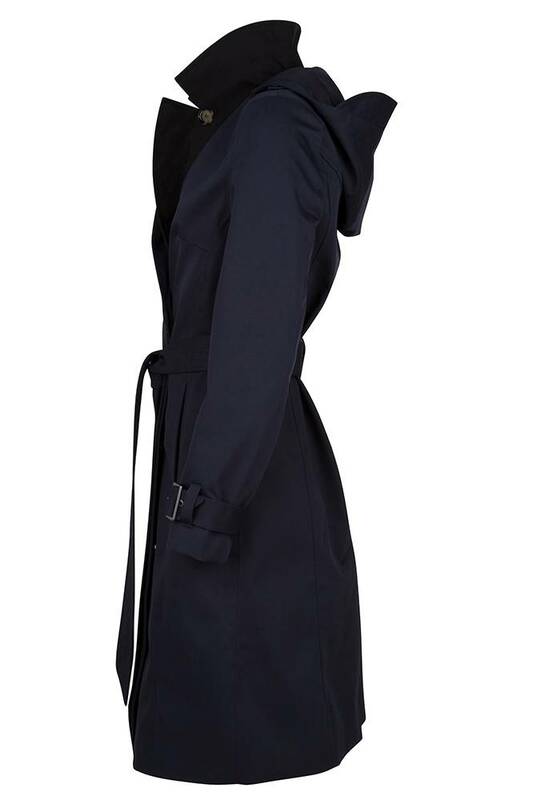 I've found them online first, then visited their store in Amsterdam. 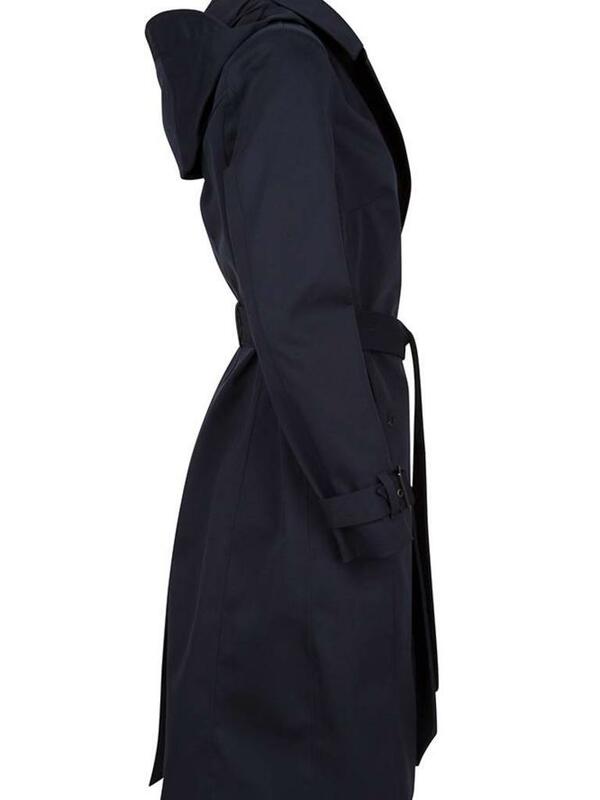 I really liked this coat, yet it was rather too long for me. 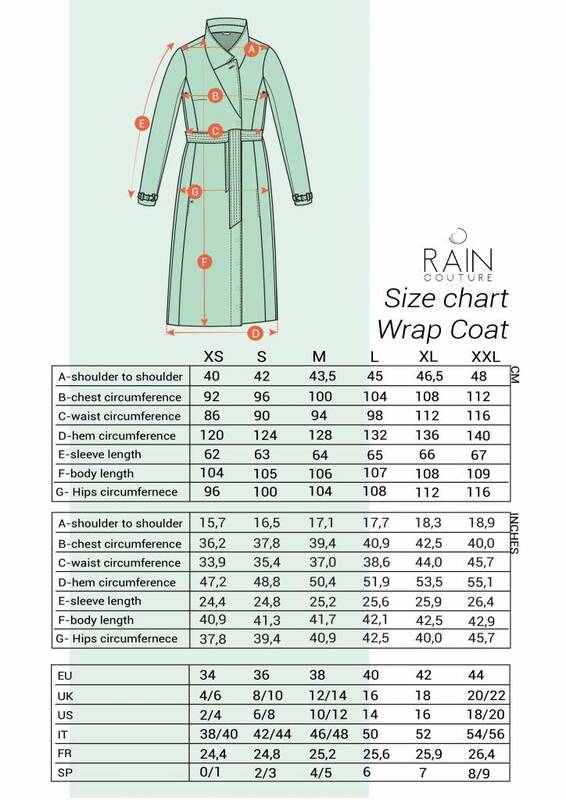 Luckily, they have a tailoring service in case of shortening or extending body length & sleeves! So, I did request that. 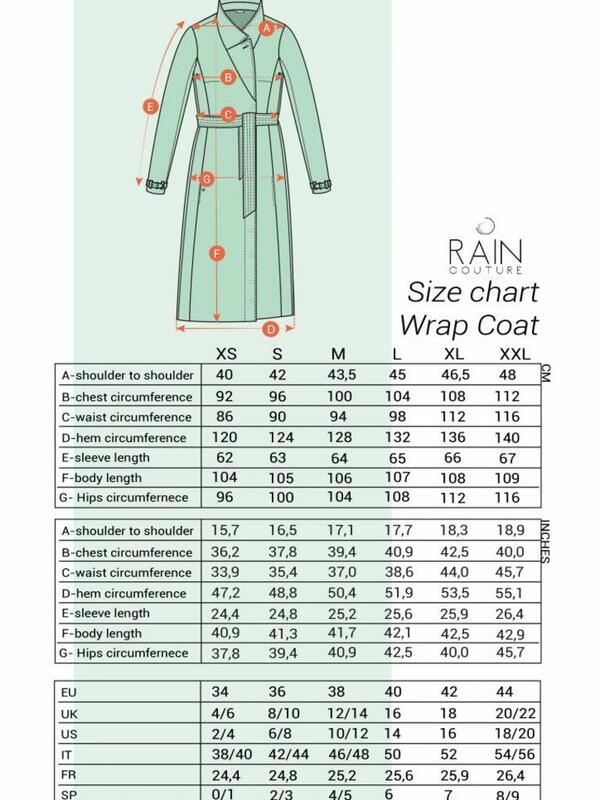 Now, it perfectly fits me and I am very glad! 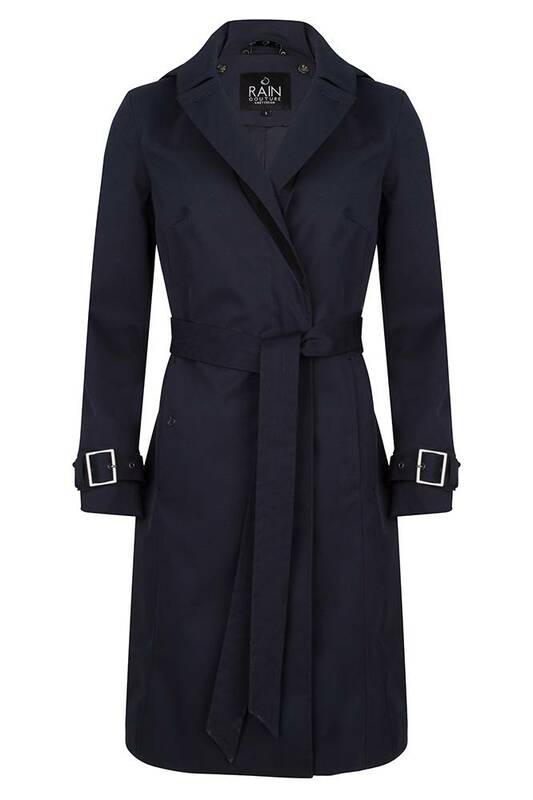 I bought this coat in their shop the other day! They have an excellent customer service & high-quality products!